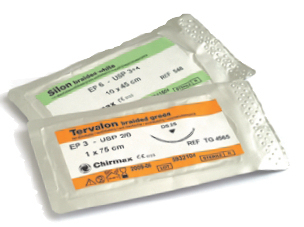 The packaging of Chirmax’s surgical suture material is stable, friendly−use and functional. 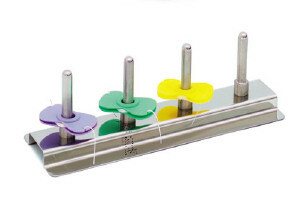 It provides optimal mechanical and bacterial safety. 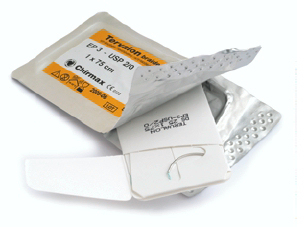 The sutures are ready for use in a sterile foil or aluminium pack. Each sales unit contains 24 individual packs (2 doz). Pre−cut length surgical sutures, armed with a drilled end needle, ready for use. Removable needles are marked with an A behind the needle description. 3 m of suture material in a thread spool, ready for use.